A learning school for Tata Motors in recent times, over 1.7 lakh units of the Tata Tiago were sold since its launch in 2016 while the average age the customer is below 35 years. Having been around for over two years in the market now, Tata Motors has sold over 1.7 lakh units of the Tiago, the company announced at the Tata Tiago NRG launch event. Launched in 2016, the Tata Tiago was the first key product as part of Tata Motors turnaround strategy and the company hit the bulls eye with the little hatchback. The model has been a game changer for the car maker helping it re-establish itself in the passenger vehicle segment, while also taking on popular sellers including the Maruti Suzuki Alto, Renault Kwid, Hyundai Grand i10 and the likes. Tata sayst the Tiago has brought a massive change in the way the automaker's passenger vehicles business functions. Not only has the company been able to bring younger customers onboard with the Tiago but has also been able to attract private buyers after having catered to fleet operators for a long time. The success of the hatchback also paved way for the manufacturer's newer products including the Tata Hexa, Tigor, and more recently the Nexon subcompact SUV. The latter has managed to emulate the success that the Tiago achieved. Speaking to CarAndBike on the sidelines of the Tiago NRG launch, Tata Motors - President, Passenger Vehicles Business Unit, Mayank Pareek said, "The Tiago has been our school. We learned a lot about customer expectation, customer insight, and we also learnt about how customers shop. The average median age of a Tiago customer is 35 years and more than 50 per cent of the customers are less than 35 years. Our dealers tell us that these customers never used to come [to dealerships] that are now coming. For us it was important to know how to talk to them and how to engage with them." 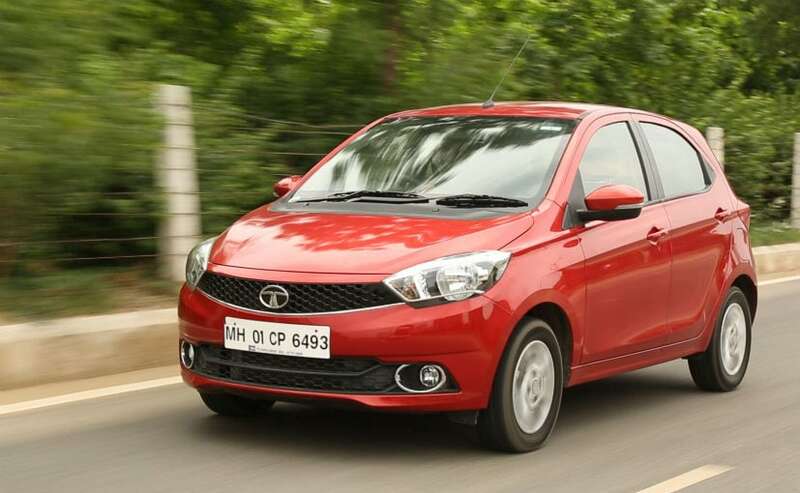 Pareek also elaborated about Tata's decision to not retail the Tiago to fleet operators. Commenting on the strategy, the Tata Motors President said, "Fleet is an important segment and is around 80 per cent of our market. But we wanted to cater to individual customers more. Because all said and done you can't forget them. We did not say you can't sell to taxis or the fleet but we did not encourage it. Fleet buying essentially depends on how much discount can you get. So we said we will not give a discount and it turned out to be a good decision in creating brand aspiration." The Tata Tiago and its sedan version - Tigor, have been responsible for achieving higher capacity utlisation at the automaker's Sanand facility with 450,000 units produced. As of August 2018, Tata Motors announced the Sanand facility in Gujarat has achieved 100 per cent capacity utilisation, largely contributed by the two new models. The facility originally started producing the Nano in 2010. The Sanand factory is on its way to hit the 500,000 production milestone by October this year. A big chunk of that volume will come from the Tiago, which remains Tata's best-selling model at present. The company sells about 8000 units of the hatchback every month, which could see an increase in volumes with the launch of the Tiago NRG version. Available with three-cylinder engines, the Tata Tiago and the Tiago NRG use the 1.2-litre Revotron petrol and the 1.0t-litre Revotorq diesel engines, while paired with a 5-speed manual gearbox. The standard Tiago also comes with an AMT version on offer. The Tata Tiago NRG differentiates itself with additional body cladding, new alloy wheels, higher ground clearance, and a new touchscreen infotainment system. Prices for the Tata Tiago NRG start at ₹ 5.50 lakh for the petrol, going up to Rs .6.32 lakh (all prices, ex-showroom Delhi) for the diesel.